Tell your cat-loving and survivor friends! I’m hosting a Twitter party for Purina® Cat Chow® as they support the fight against breast cancer with their Cat Nap for a Cause. Just drop by their Facebook page and pledge to take a nap with your cat, and they’ll donate $2 — $1 for you and $1 for your cat — to Susan G. Komen for the Cure, up to $150,000 total. Meanwhile, the Twitter party is all about raising awareness of the Cat Nap for the Cause. 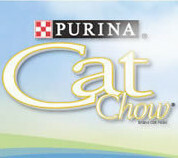 Purina will be giving away all sorts of great goodies, like cat scratching posts, cat nap blankets, Purina Cat Chow and even Flipcams! see you there!! My kitties are my babies!